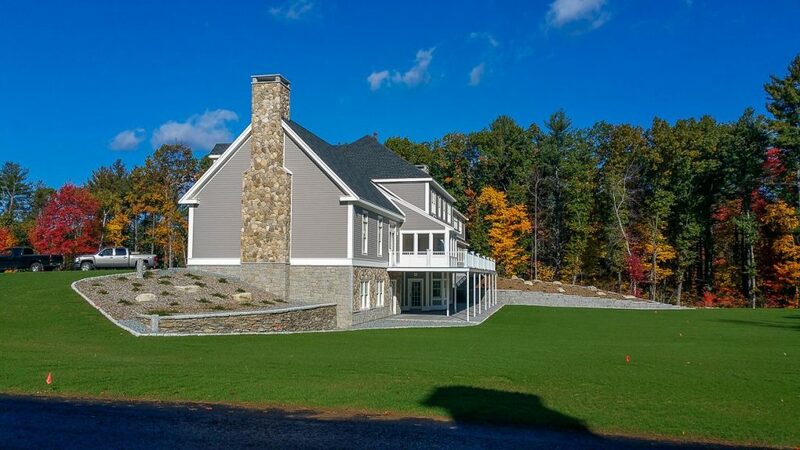 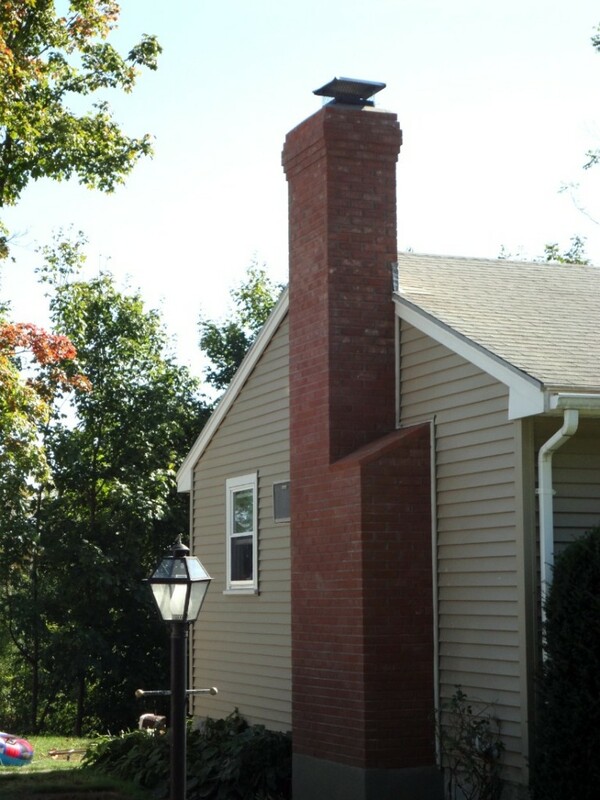 Throughout Massachusetts there certainly is no shortage of fireplaces. Some conventional fireplaces were the norm a while back, some were built with a budget and some were not designed well from the start. 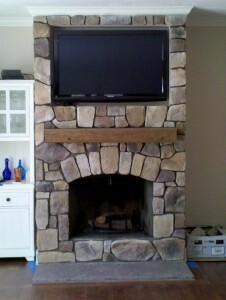 If you have a fireplace that you are thinking about revamping, there are some options available. 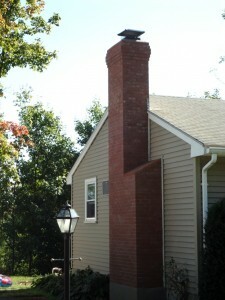 Depending on the type of fireplace, determines the approach. 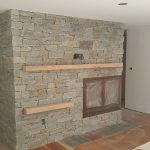 From our previous article on Thin stone, what is that exactly, you should be fairly familiar with what it is and some ways it can be used. 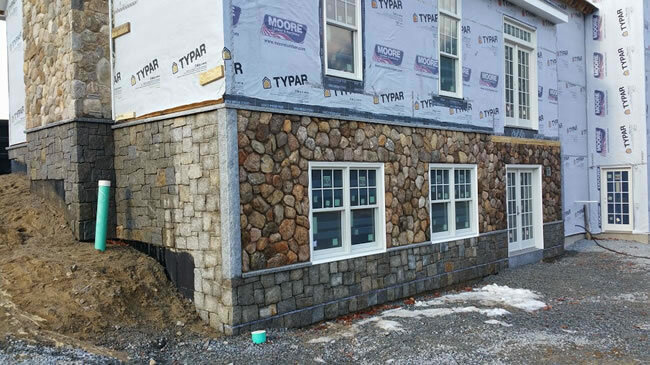 So how do we know if a thin stone veneer is applicable to your situation? 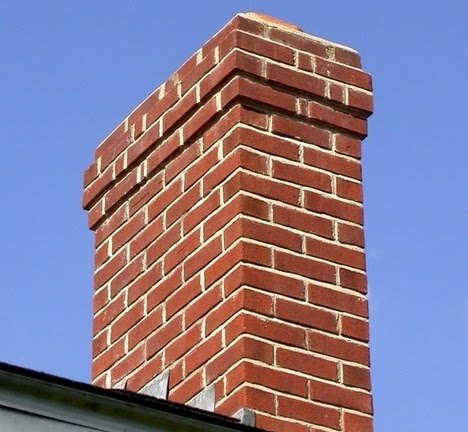 Well, it is very likely that it is. 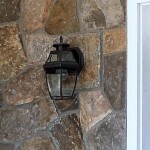 It may be easier to rule out what situations it wouldn’t work on rather then the ones it would. 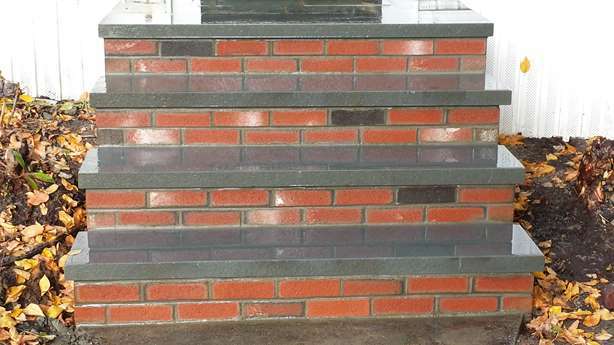 A raised brick hearth is going to need the top layer of brick removed and a single piece of either bluestone or granite placed on the top. 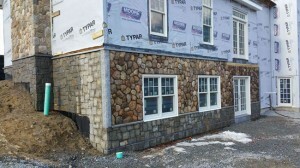 The thin stone can veneer the sides, but it wont work on the top. 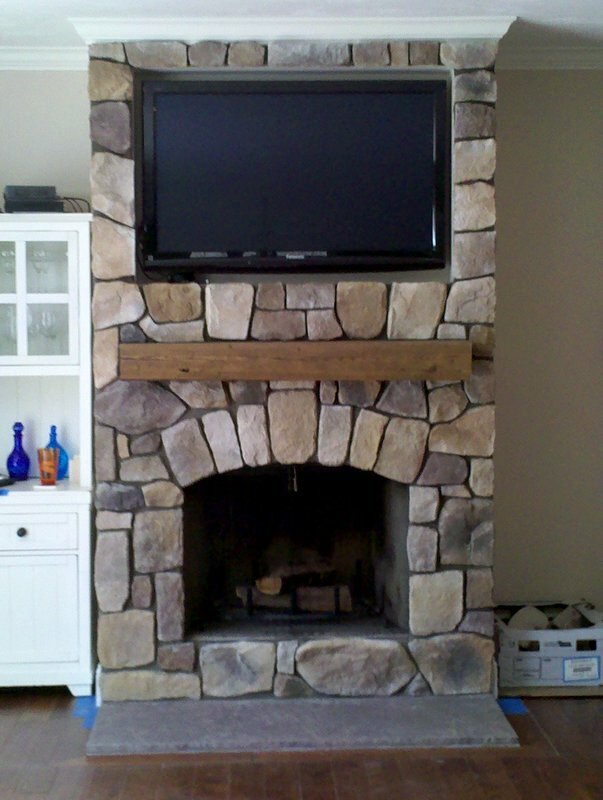 If the top of the fireplace has a portion of it that is corbel-ed or stepped out. This will need to be removed and rebuilt before installing the stone. 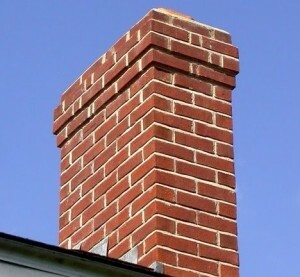 A fireplace that has degradation. 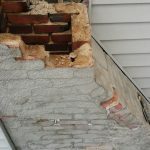 An antique home may have an original fireplace and in many of these 100 year old houses the masonry was built using a lime mortar. 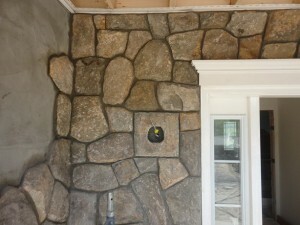 This mortar can become dry and flaky and not a good choice to adhere stone to. 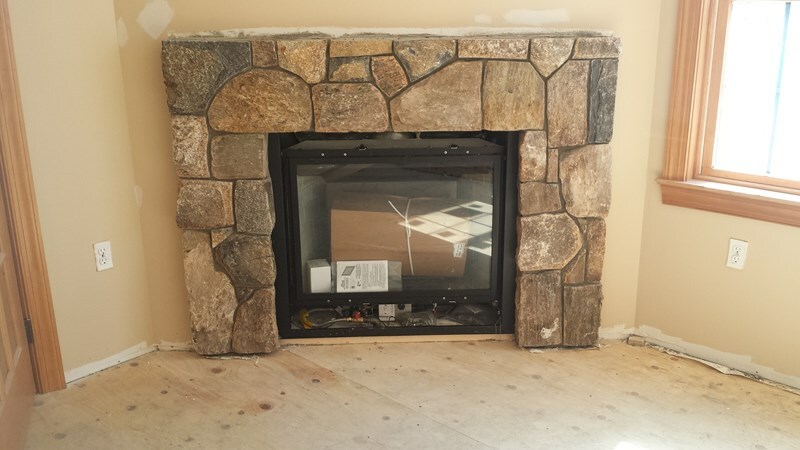 Depending on the fireplace it could be as quick and economical to simply remove the old brick fireplace facade and rebuild it with new bricks before installing the stone. 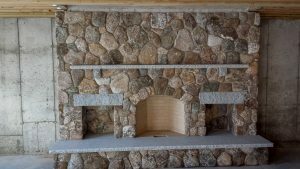 If a mantle absolutely must be re-used, thin stone may not be the best choice. 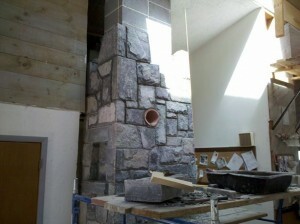 It will add approximately 1 1/2 inches in dimension to where the stone is placed. 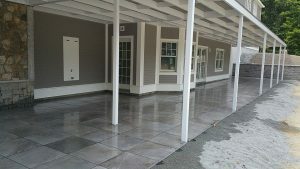 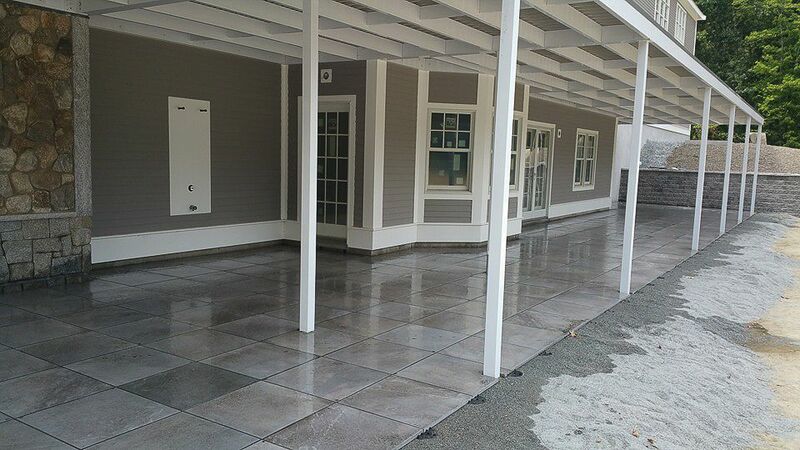 Areas to consider would be the flooring. 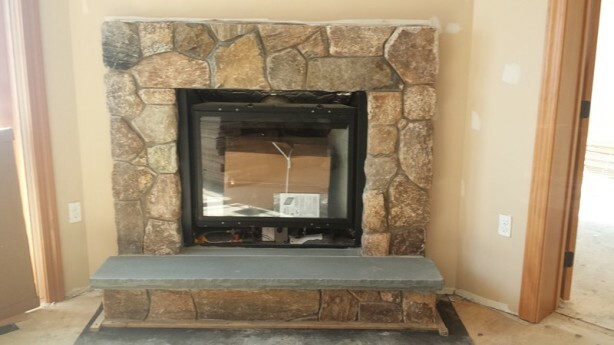 Adding a thin stone would add approximately 1 1/2 inches to the front of the fireplace. 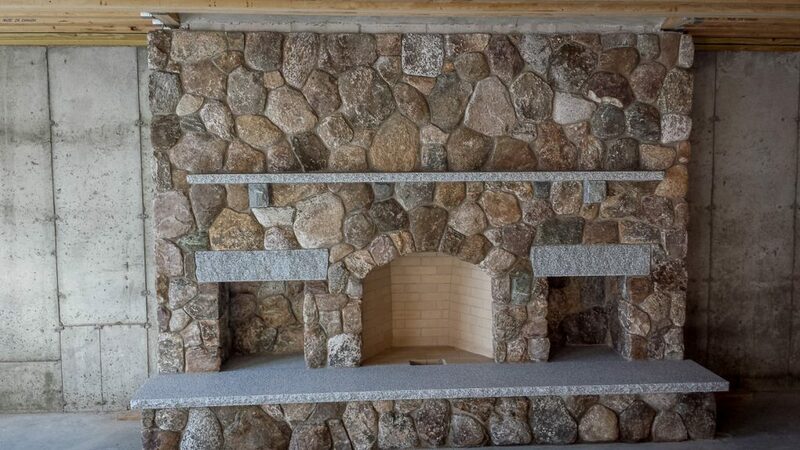 If there is carpeting the stone would most likely protrude onto the carpet slightly, if there is hardwood the stone would be cut nicely, but it may appear that the stone rests on the floor. A slight nit pic but one worth mentioning.